As we keep it under our hats, we might send vocal birthday greetings to Melvin Jerome “Mel” Blanc; he was born on this date in 1908. A voice actor, actor, radio comedian, and recording artist, he began his 60-plus-year career performing in radio, but is best remembered for his work in animation– as the voices of Bugs Bunny, Daffy Duck, Porky Pig, Tweety Bird, Sylvester the Cat, Yosemite Sam, Foghorn Leghorn, Marvin the Martian, Pepé Le Pew, Speedy Gonzales, Wile E. Coyote, Road Runner, the Tasmanian Devil, and many of the other characters from the Looney Tunes and Merrie Melodies theatrical cartoons that helped define the golden age of American animation. He was, in fact, the voice for all of the major male Warner Bros. cartoon characters except Elmer Fudd, whose voice was provided by fellow radio actor Arthur Q. Bryan (though Blanc later voiced Fudd as well after Bryan’s death). 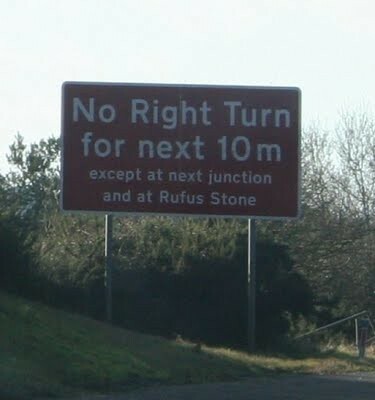 Blanc died in 1989, just a year after voicing Daffy Duck in his classic Who Framed Roger Rabbit duel with Donald. 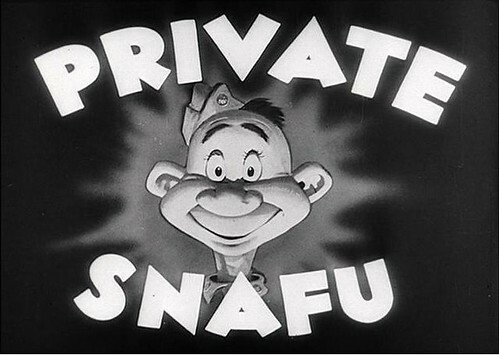 Between 1943 and 1945, with the help of Warner Bros.’ finest animators, the U.S. Army produced a series of 27 propaganda cartoons depicting the calamitous adventures of Private Snafu. 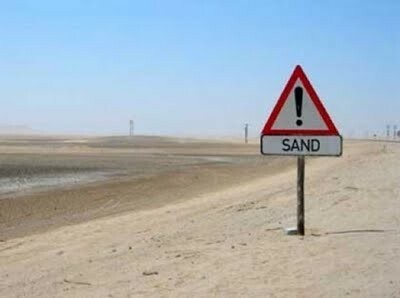 And watch the Private Snafu films here. 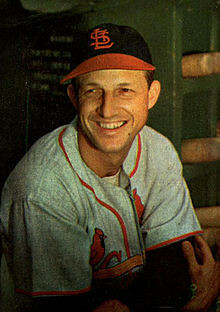 As we stand to attention, we might recall that it was on this date in 1947 that Stan Musial tied Ty Cobb’s record for the most five-hit games in a season (four)– and he did it in style, hitting successfully on the first pitches from five different pitchers. 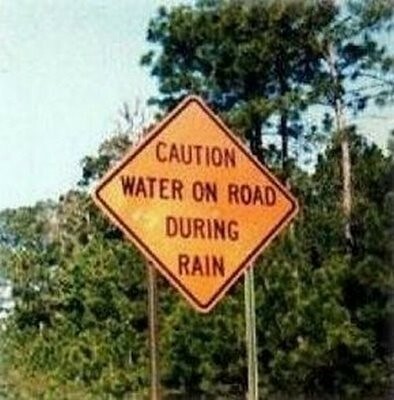 More at Damn Cool Pictures. 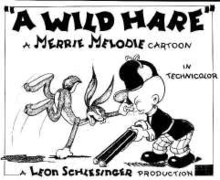 As we await further instructions, we might recall that it was on this date in 1940 that the Warner Bros. Merrie Melodies animated short “A Wild Hare”– the first “official” Bugs Bunny cartoon– premiered (though readers will recall that Bugs [or at least, his prototype] made his inaugural screen appearance two years earlier). 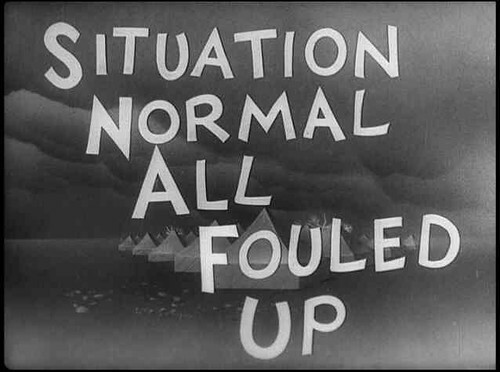 Directed by Tex Avery, “A Wild Hare” was nominated for an Academy Award. 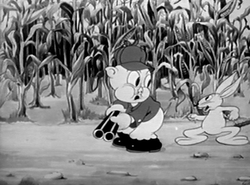 As we reach for the crushed red pepper, we might recall that it was on this date in 1938 that “Porky’s Hare Hunt” was released. The Warner Bros. cartoon was a remake by Ben “Bugs” Hardaway and Cal Dalton of a 1936 animated short by Tex Avery, “Porky’s Duck Hunt.” The earlier toon had introduced Daffy Duck; “Porky’s Hare Hunt” was the debut of (the still-unnamed) Bugs Bunny. While Bob Clampett created the character, Hardaway’s character sheet for (visualization of) Bugs– who became Warner’s biggest star– was chosen from among several; thus, “Bugs’ Bunny”– note the possessive apostrophe… But as the rapacious rabbit became a hit, he was emancipated from his maker; the apostrophe was dropped. Humphrey Bogart, Joe E. Brown, James Cagney, Bette Davis, Kay Francis, Leslie Howard, Paul Lukas, Barton MacLane, Fredric March, Paul Muni, Pat O’Brien, Claude Rains, Edward G. Robinson, and a host of others star in The Warner Bros. Blooper Reel for 1936! TotH to the good folks at Neatorama. 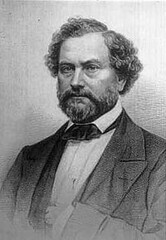 As we struggle to remember our lines, we might recall that it was on this date in 1836 that Samuel Colt was granted a U.S. patent on a “revolving gun” (a revolving-breach-loading, folding-trigger firearm, initially instantiated as a pistol– the Patterson Pistol, the earliest ancestor of the famous Colt .45). In 1835, Colt had traveled to England, following the path of Elisha Collier, a Bostonian who had earlier patented a revolving flintlock. 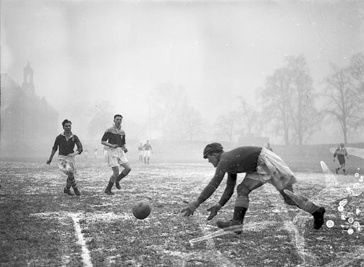 Colt obtained a British patent late that year, then hurried home.